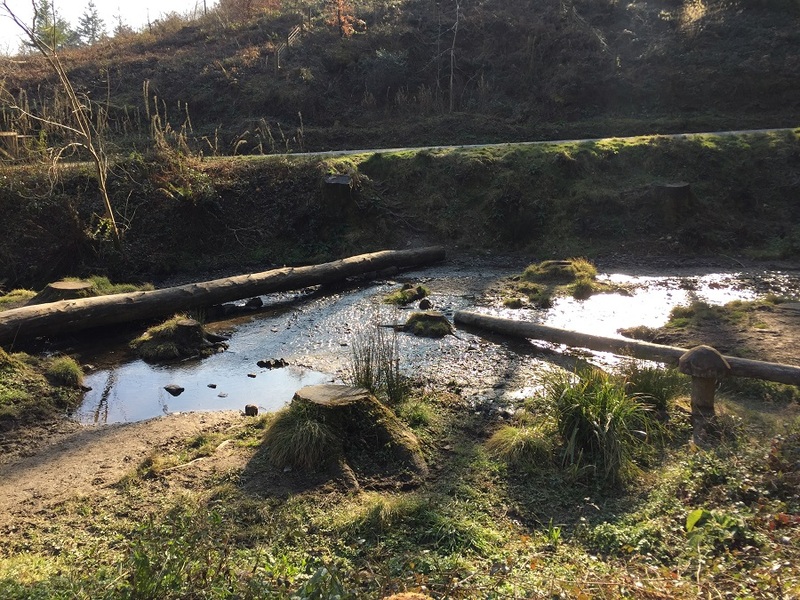 Cardinham Woods near Bodmin is one of our favourite places to visit for outdoor fun. It’s managed by the Forestry Commission and has marked walking and cycling trails for all abilities. The Lady Vale walk is a level, hard surfaced trail which circuits the valley floor and stream. It is 1.5 miles long and quite manageable for little legs, pushchairs and bikes. It’s great to find a safe, fairly level and off-road track to ride a bike. We brought Jasmine’s balance bike and Sam’s two-wheeler for some practise. On our last visit we completed the interactive Gruffalo Trail. 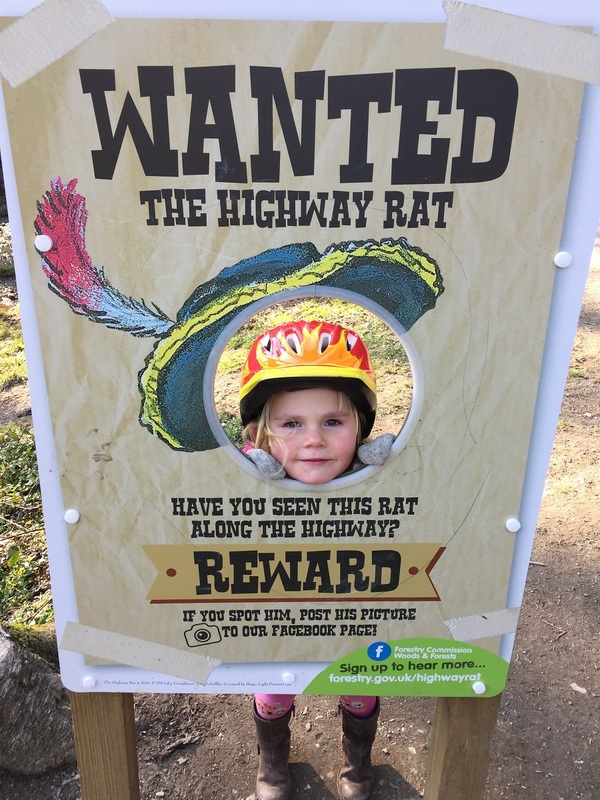 We were surprised to find it had been replaced by another of their favourite Julia Donaldson characters, Highway Rat. You can buy the trail at Woods Café for £3 and the route is clearly marked from the car park. I had my hands full with children, bikes and trail sheet to fill in. There were things to find, drawings, stickers and rubbings for us to do. Needless to say I was doing a balancing act, trying to keep them on their bikes and not crash into people or the stream! The children had a lot of fun, splashing through puddles and paddling in the stream. I really enjoy my time with them learning about the natural world and sharing precious moments of their childhood. We spent about four hours here with lunch at the café, but you could easily make a day of it exploring some of the other paths or the bike trails with older children. Cardinham Woods is approximately 30 minutes’ drive from Bosinver. There is plenty of parking available. The fabulous Woods Café welcomes children and dogs. It’s open every day (except Christmas Day) from 10am and serves a variety of homemade refreshments. 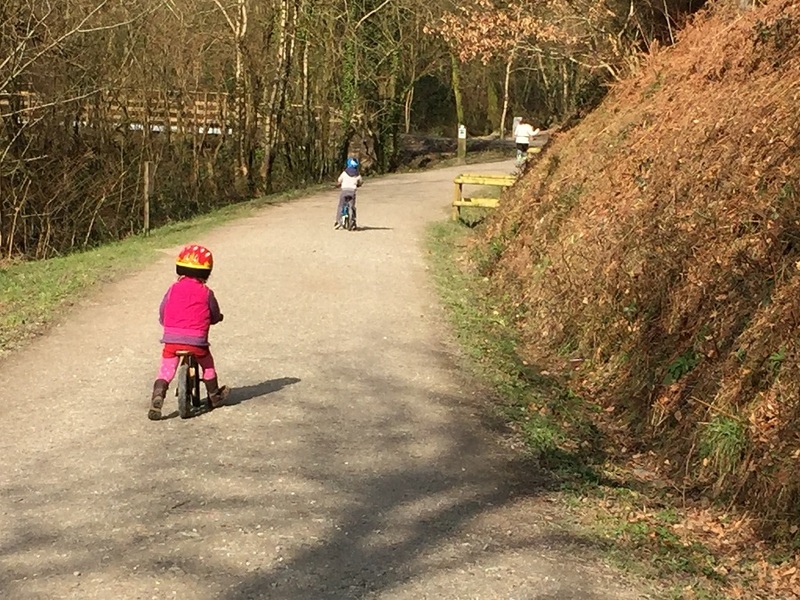 Where’s your favourite place to go for a walk or bike ride as a family in Cornwall? Leave a comment below, post on our Facebook page or tweet @Bosinver – we’d love to hear your thoughts! If you would like to know more about booking a holiday here at Bosinver, please email reception@bosinver.co.uk or call 01726 72128.